The Hubby and I decided not to throw a party for Enoe's 5th birthday apart from the small party he will have in school and instead just take the kids to a leisure or theme park. 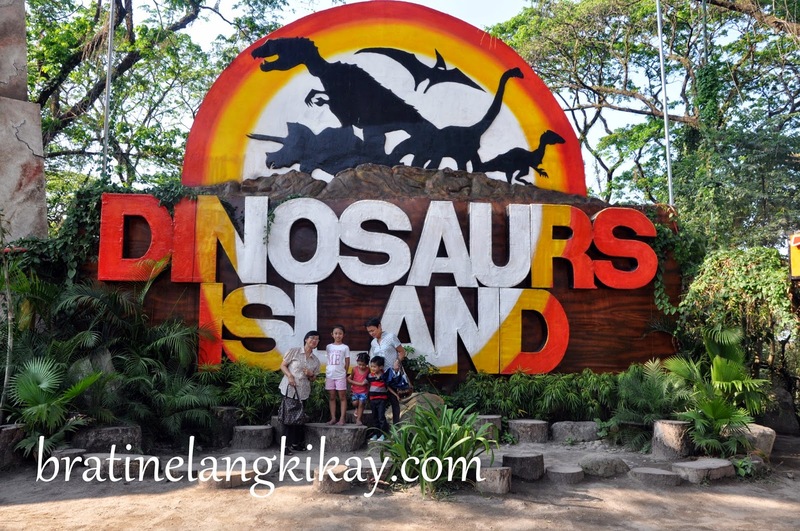 Luckily I came across a sale at MetroDeal for tickets to Dinosaurs Island which offered the entrance fee only at Php198 instead of the regular Php350. I've seen a few posts about the theme park which opened in 2012 and I wonder why it's not too popular among netizens yet. 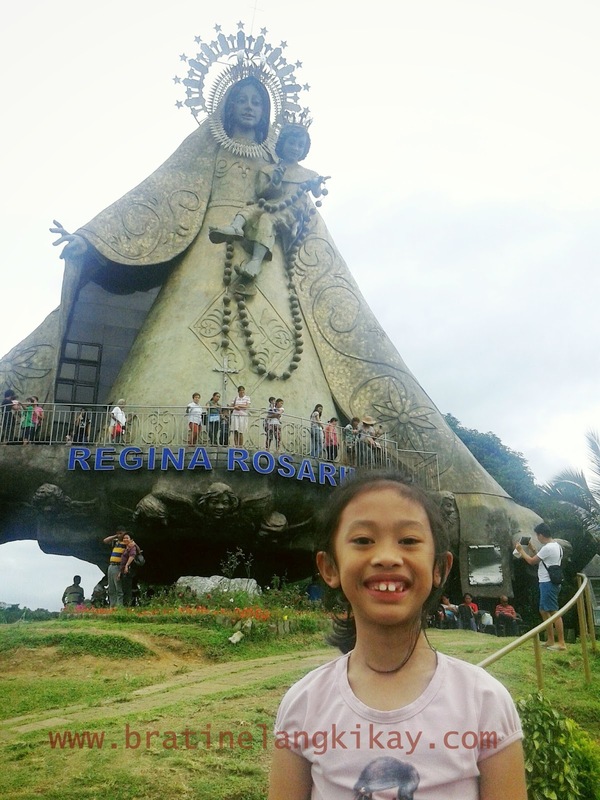 Is it the location perhaps which is almost 100kms from Manila? 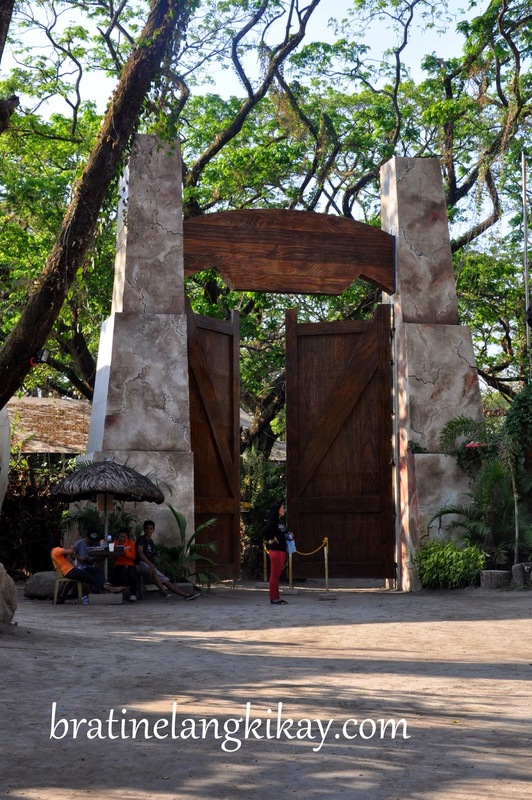 The main entrance to the theme park (after clearing with ticket checkers) is a giant door reminiscent of the movie Jurassic Park. Even before coming in, we can already hear the "roar" of the dinosaurs inside. Tagged as the "first ever animatronics theme park in the country that features life-sized dinosaur", the park really did not disappoint. My kids were scared to walk past the gate as they saw the huge Brachiosaurus waiting for a photo-op. The dinosaurs move and roar as visitors approach unaware, creating a "gulat" factor, a very clever idea made possible by motion sensors placed in strategic spots near each replicas. Even adults sometimes shriek and shout in surprise. There are about 30 plus almost-real life-sized dinosaurs in the Dino Trail, the main attraction of the park, each one scary and amazing at the same time. Towards the end of the trail, just when the kids are no longer scared of the dinosaurs, we met the walking and interactive dinos at Dino World of Fun. They danced and tried to scare those who are obviously frightened (like my daughter).